Do you like to hike AND canoe? 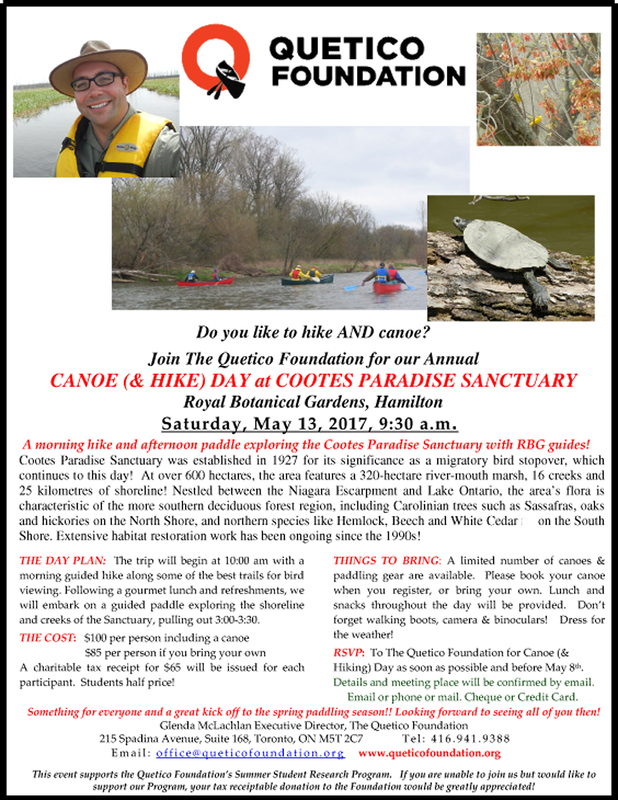 Saturday, May 13, 2017, 9:30 a.m.
A morning hike and afternoon paddle exploring the Cootes Paradise Sanctuary with RBG guides! Shore. Extensive habitat restoration work has been ongoing since the 1990s! and creeks of the Sanctuary, pulling out 3:00-3:30. Hiking) Day as soon as possible and before May 8th. Details and meeting place will be confirmed by email. Email or phone or mail. Cheque or Credit Card. Something for everyone and a great kick off to the spring paddling season!! Looking forward to seeing all of you then! support our Program, your tax receiptable donation to the Foundation would be greatly appreciated!